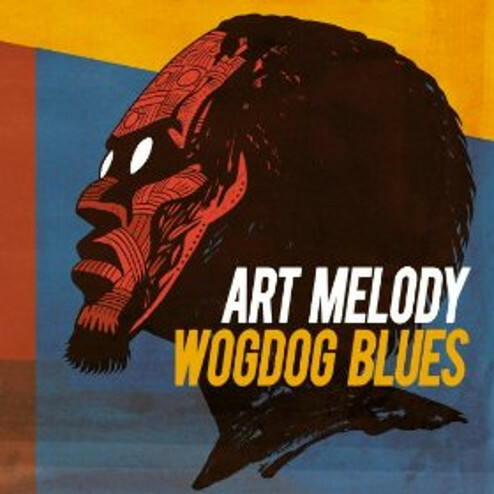 Two years after the acclaimed Zound Zandé album, Burkinabé rapper Art Melody returns with Wogdog Blues - Ouagadougou blues. An ambitious album which stretches the limits of African hip hop and throws the listener into a musical vortex. Produced by Redrum and Minimalkonstrunction, the beats draw from afrobeat, bass music, 1990s hip hop, African tradition and retro-futurism to best carry Art Melody's unique flow. The album is mastered by Dave Cooley (Spoek Mathambo, J Dilla, Madvillain) in Los Angeles. With support from artists such as High Priest from avant-garde hip hop group Antipop Consortium, or Walter Kibby aka Dirty Walt of cult LA band Fishbone, Art Melody helps us break down the borders separating our words. Powerful, raucous and dark, Art Melody's voice describes the blues and melancholy of an African people resisting poverty, disease, obscurantism and war daily. Despair which finds hope in Art Melody's voice. On a different note: Art Melody will be touring France later this month, check the dates in the right column of this post.